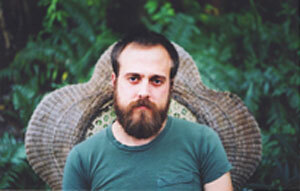 Sam Beam is simply a wonderful songwriter and musician. I started listening to his lo-fi country-folk albums for quite some time now and the grainy quality of his recordings just added to the charm in his songs. I imagine that being a film teacher helps him shape his songs into poetic journeys. I was a bit shocked that he had sold out not one but 2 shows at the large venue Webster Hall. How could a man armed with only a guitar sell out 2 shows? After seeing him live you’ll understand his power. I was bummed that he was playing such a big venue and not a more intimate one where his music would better be suited. Nevertheless, he put on a beautiful show despite the terrible sound system. He was very humble and quiet on stage, but when he started to sing, the crowd became entranced. A video of one of my favorite songs. Naked As We Came. Juana Molina had been gathering a lot of press lately. While I was in Buenos Aires she was mentioned in many of the music magazines applauding her success of her new album Tres Cosas. In the states it was ranked as one of the top 10 albums by the New York Times and garnered response from David Byrne who I believe wound up signing her to his label. Juana Molina was a very successful comic in Buenos Aires and abandoned her very successful career in television to pursue her musical endeavors. Her off-kilter electronic sounds and guitar rhythms create a vast and strangely comforting world. And her humor sometimes pokes through in her lyrics and especially live. You’ll always be surprised with what she has to offer. Arriving at Joe’s Pub I was very happy to hear that the show had sold out. It was a very eclectic audience from young to old and different ethnicities. However, that meant the space was way too crowded but I got lucky with a spot in the back. I was surprised to see her alone on stage with only a guitar and various electronic equipment. Her albums are so dense and layered that I was expecting a full band. She politely and bashfully introduced herself and played a song off her new album. Her voice was beautiful and I was amazed at the range she had. She would jump back and forth from keyboards and guitars. She would loop her voice, guitar, and keyboard using the various electronic contraptions around her to create these very complex soundscapes. She would build upon these layers with poetic lyrics and guitars, all live and in real time. It was incredible to see her pull off the songs from her albums live. As of now, Gimme Fiction is my pick for the best album of the year. 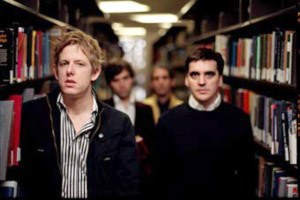 Britt Daniel created a jewel of a record making up for their lackluster attempts in previous years. They gathered the momentum from Girls Can Tell to create a more confident rockin and rollin album. By far the most expansive album to date showcasing the bands broad range of styles. So how did these Texans do on their live performance? I’m sad to say they were terrible. Maybe it was the time of show, maybe it was the terrible venue, maybe it was the high price of the ticket. Nevertheless, the music had no life to it and the band didn’t display the energy that’s in their album. I was expecting so much more. So far the biggest disappointment of the year.